According to a report from ESPN’s Ramona Shelburne and Paula Lavigne, Big Baller Brand majority owner Lonzo Ball has severed all business ties with Alan Foster—one of the company’s co-founders and longtime family friend to the Balls—after he was unable to account for $1.5 million that went missing on his watch. Ball told ESPN that he gave Foster the boot because he “used his access to my business and personal finances to enrich himself.” Foster became friends with the Ball family nine years ago when his son and Lonzo were both in seventh grade. Until today, he worked as the business manager for BBB and other Ball family companies. 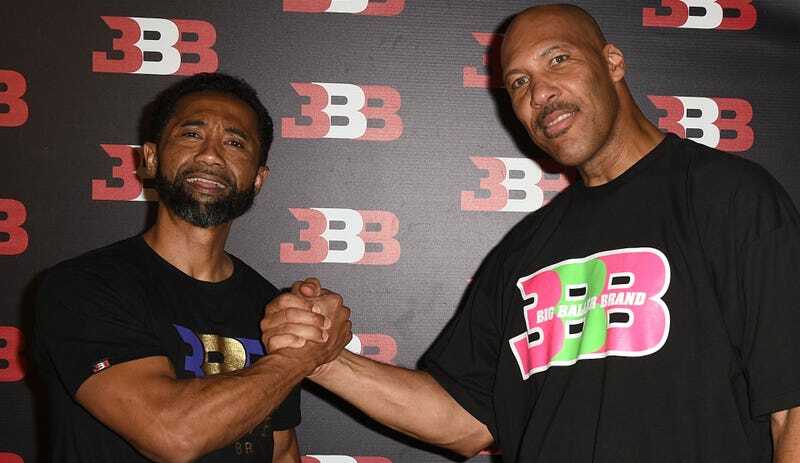 LaVar Ball credited Foster with the idea to forgo a sneaker deal with an established brand in favor of creating BBB. Lonzo owns 51 percent of BBB, with his mother, Foster, and LaVar each owning roughly one-sixth of the company. Lukanga attached two itemized reports to the email that he alleged showed unexplained cash withdrawals from Big Baller Brand and transactions between BBB and Foster’s business, Marathon Consulting Inc. “Over $1.5 million dollars has disappeared and he has wired over $474,000 to himself through Marathon Consulting (see attached report). So close to $2 million dollars has touched Alan’s hands but $1.5 million of it has disappeared in cash and can’t be tracked,” Lukanga wrote. Lukanga told Lonzo about his concerns with Foster, and Lonzo left it up to LaVar to figure out what to do. After continuing to warn Lonzo, Lukanga resigned in November, though he was reportedly brought back on this week. Until ESPN reporters asked Lonzo about it earlier this week, he was unaware that Foster was also a convicted fraudster. Foster pleaded guilty to one count of mail fraud and two counts of money laundering in 2002 for his involvement in a scheme that bilked 70 investors out of $4 million.